As a part of the »Kosmostage« Music Festival July 5 a septett of the Andromeda Mega Express Orchestra played their version of Hot Jazz to the illustrations of my new book »Honky Zombie Tonk-Die blauen Geister von New Orleans«. Albrecht Hirche read the text. 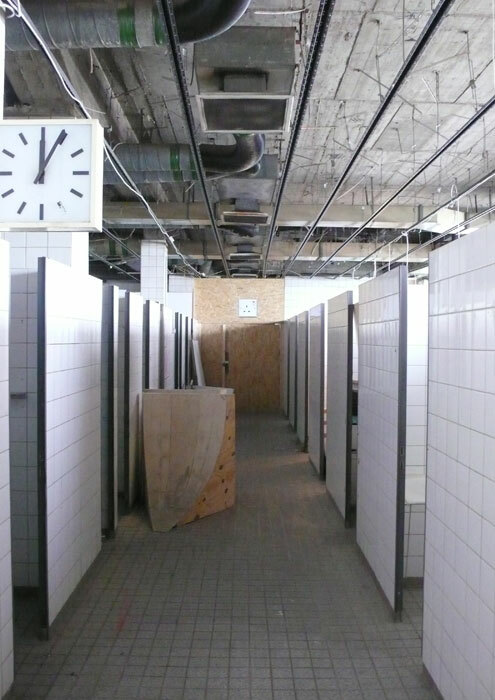 The show took place in the old public bathtub rooms of the indoor swimming pool »Stattbad Wedding« in Berlin. The public bathtub rooms, the place where we planned to perform.